Drone Racing - A New Sport? Drone Racing is a sport in which competitors race specially built multi-rotor drones around a natural or specifically designed course. 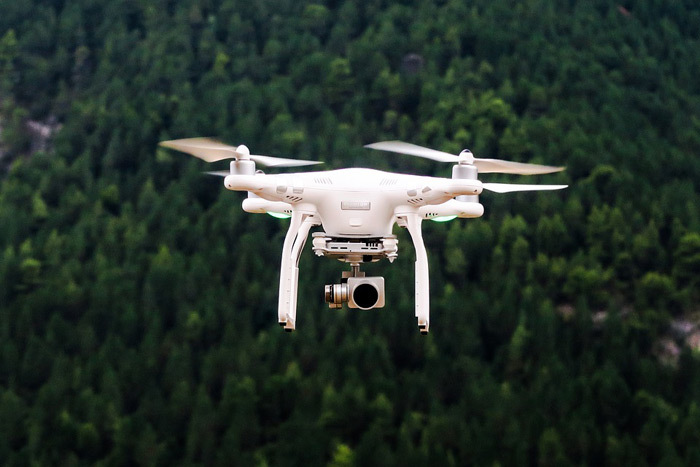 Flying drones started out as a recreational activity by a few enthusiasts which gained extreme popularity and led the way for a competitive sport to be born out of it. Drone Racing does not fit in the definition of a real sport as it is not a human physical activity, but is included on this list of sports due to similarities to other flying sports. The drones used for racing are all radio-controlled with cameras fitted to them. All racing competitions conducted today are first person view races, where pilots control the drones using hand held controllers, wearing specially designed goggles that project the video feeds from the drone's camera. There are three major formats of races conducted in competitions. Individual time trial: Pilots compete on a course individually against a clock, in which the pilot to navigate the course in the fastest time wins. Team time trial: A team time trial event in which pilots compete as a tem to finish the course in the fastest time. Freestyle tricks: An event in which the pilot performs various tricks using their drones. The sport of drone racing is still in its infancy, with competitions still slowly springing up around the world. The first national level drone-racing competition was conducted in the United States in July 2015, in which 120 participants from various countries took part. Aeromodeling — activity using remotely controlled flying model aircraft (not a sport). Air Racing — Air racing is a sport involving airplanes competing over a fixed course low to the ground. Aerobatics — sport aerobatics involves aircraft maneuvers such as rolls, loops, stall turns (hammerheads), and tailslides.